Here at The Kirby, we get visitors from all over the world, but we’ve found that most come to us from big cities like Chicago and Detroit. That’s no surprise considering that we’re less than 3 hours away from both of these great cities. One of the first things we always hear people say when they arrive and step out onto the back porch for a welcome drink is that that the air smells so nice. You may not even notice the usual city smog because you’re so used to it, but when you take a deep breath here, all you smell is plants, flowers and clean, Lake Michigan air. If you don’t have a big yard and a green thumb, your only option for fruit and veggies in the city is your local grocery store, which sells produce that’s often sent from hundreds of miles away. When you’re in Saugatuck-Douglas, however, you can visit farms and produce stands to get local, fresh food that you know the exact origin of. Visit a “You Pick” orchard to get the full experience or just swing by a farm or stand to buy deliciously fresh fruits that were grown nearby and picked just days before. Urban centers may have craft beer breweries and independent distilleries (which we also have plenty of in our area! ), but there’s simply no way to visit the place where wine is born without leaving town. When you come to Saugatuck-Douglas though, you have your pick of 4 vineyards and wineries within just 30 minutes of The Kirby. Take a tour, do a tasting and go home with a few bottles that you love. 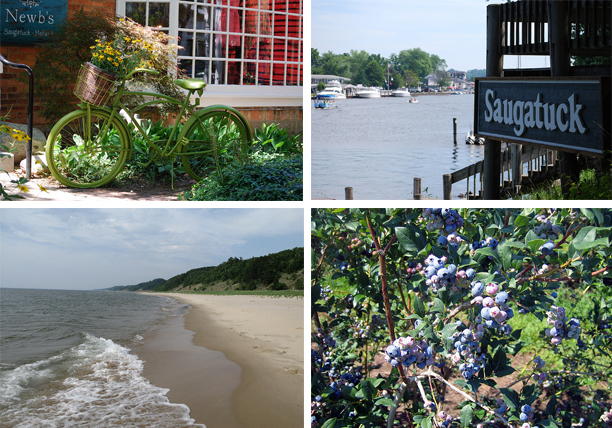 Even though cities like Chicago have great parks and beaches, there is no substitute for the beautiful natural gems we have in and around Saugatuck-Douglas any time of year. In the summer, you can visit pristine beaches that are far less crowded than city beaches; in the fall, enjoy apple orchards and miles upon miles of fall foliage; get your heart racing with exciting winter sports; and go on a nature hike or bike ride as the weather tempts you outdoors in the spring. And that’s just a small sampling of your options! We love the hustle and bustle of a metropolis, but it can be overwhelming if you don’t take a break now and then. Escaping the constant barrage of sirens, billboards, traffic and urban chaos will do your mind and body well. 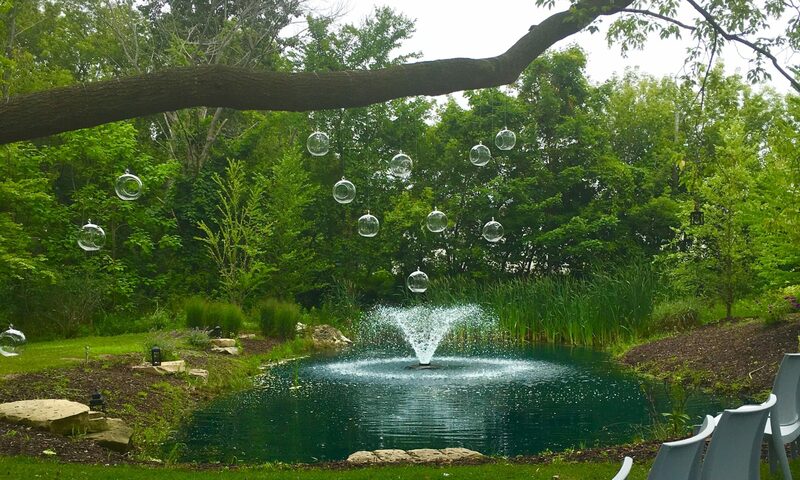 After a few days of the peace and quiet of Saugatuck-Douglas, you’ll feel refreshed, calm and ready to head back to real life. We know that you love your home in the city and you wouldn’t trade it for the world. But we also know that even the most enthusiastic of urbanites needs to get away from it all once in a while. We’re just happy to be able to provide such a welcoming and restful refuge for our urban friends who rely on us whenever they need a break from city living.